Reflex™ Linked Brakes with Anti-lock Braking System: No doubt about it, there are times when you need to haul things down in a hurry. And you don’t get to pick those times. Or decide whether or not they occur when you’re on a flat, smooth, dry, perfect stretch of pavement. That’s why our touring models feature the Reflex™ Linked Brakes with ABS. ABS turns a locked-up front wheel or a rear wheel skid into a relic from riding’s history. And the front and rear brakes are electronically linked to provide exactly the right amount of brake to each tire no matter what the road condition is. No matter how good you are, this will make you a better rider. Boom!™ Box 6.5GT Radio: Let’s start with this. The Boom!™ Box 6.5GT Radio puts out 75 watts per channel at 1% distortion and features a factory-tuned, optimized equalizer that pumps out more power and can be played louder while maintaining the clarity of your sound. And the speed tuning system delivers more than just volume changes at different speeds. It changes the level of bass and treble to dial in the best sound, whether you’re running at a stately pace down the strip or going hell for leather down an open stretch of road. How do you like the sound of a Harley® motorcycle? Project RUSHMORE - Styling: Project RUSHMORE is the journey we set out on to take our touring motorcycles to places never imagined before – to turn all the possibilities for what a motorcycle can be now into true Milwaukee steel. We did it our way, as we’ve always done. As riders. Riding with other riders. Thousand of hours, countless road tests, millions of miles. Looking for the technology and innovations that truly make the ride better. We went over the bike fender tip to fender tip. Making it work better. Making it look sleeker. Modern. Clean. Tight. Let your eye take the journey over the machine. This is classic Harley-Davidson style and a sleek, modern look at the exact same time. At Harley-Davidson, form has always followed function. And both have always reported to emotion. Now we’re just doing it on a completely different level. Gloss Black Inner Fairing: A premium gloss black finish comes standard on the Street Glide® Special motorcycle. It's there because on a bike like this one, you can't help but go the extra mile. 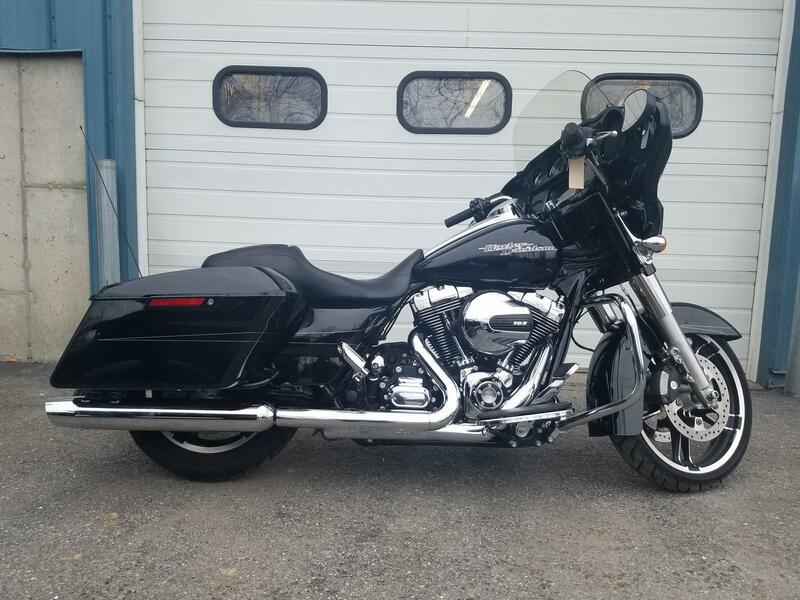 19" Enforcer Front Wheel: There’s a 19” Enforcer front wheel leading the way on the Street Glide® Special motorcycle and a 16-inch Enforcer to match in the rear. The brake rotors have been designed to show off more of the premium custom look of the wheels. If you’re going to roll on two wheels, do it with class.